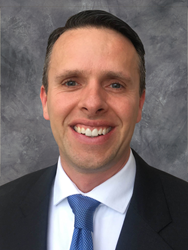 Austin Lifferth, OD, joins Grossnickle Eye Center to serve patients in Warsaw, Mishawaka, and Plymouth. In August, Grossnickle Eye Center welcomes Austin Lifferth, OD, to its eye care team. Dr. Lifferth specializes in the management of eye diseases and conditions, particularly glaucoma, and will see patients in Warsaw, Mishawaka, and Plymouth. Dr. Lifferth’s passion for eye care can be traced back to his high school years, when a report on the eye quickly ignited his interest in the visual pathway and ocular anatomy. He went on to earn a Bachelor of Science in Biology (BYU-Idaho, Ricks College) and in Optometry (Indiana University), before graduating from Indiana University School of Optometry as a Doctor of Optometry. He competed externship rotations in ocular disease, contact lenses, and primary care, and served an ocular disease residency at the Veterans Affairs Medical Center in Huntington, WV. Today, Dr. Lifferth is board-certified, a Fellow of the American Academy of Optometry (AAO), and a member of the AAO and the Optometric Glaucoma Society. Call Grossnickle Eye Center at (800) 992-6975 or visit GECenter.com for more information. Dr. Lifferth is currently accepting new patients. The experienced physicians at Grossnickle Eye Center, including six ophthalmologists and six optometrists, provide comprehensive eye care services, including advanced medical and surgical procedures, such as laser cataract surgery, LASIK, and treatment for glaucoma and macular degeneration. They serve patients from their offices in Warsaw, Mishawaka, and Elkhart, as well as a clinic site in Plymouth. Since its founding in 1979, Grossnickle Eye Center has retained a primary focus on providing the highest quality care and individual attention to each patient.